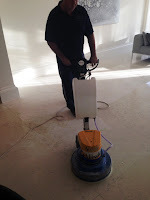 We often receive requests from customers to provide regular maintenance for their floors, especially for the upkeep of sealed and polished stone floors such as Limestone, Marble and Travertine. Previously we have done this on an adhoc basis as and when requested which is not ideal for either the customer or the Tile Doctor. We have taken that feedback on board and are now able to offer a structured maintenance plan that will ensure your installation will continue to look its best for years to come. The plan is centrally administered by Tile Doctor in conjunction with you’re your local Tile Doctor and backed up by a direct debit scheme to allow customers to spread the cost over 12 months. If this is of interest to you and to find out more about the scheme please talk to your local Tile Doctor about it during the next visit or let us know and we will organise it for you.